Harriet Tubman. Eleanor Roosevelt. Maggie Kuhn. Naomi Rose. Merdine T. Morris. On this day – who are the women who have served as advocates for whom you give thanks? Advocacy took central stage at the Ecumenical Women‘s Orientation. The afternoon workshops focused on advocacy and with good reason. We come to the Commission – representatives of the Ecumenical Women member organizations and other NGOs – to advocate for concepts, themes, and language to shape those agreed conclusions. In the case of Ecumenical Women, we do so guided by faith in Jesus Christ and the policies of our respective organizations. As we advocate, we follow in the footsteps of our sisters who have gone before – we stand beside our sisters who live the struggle. For whom do we give thanks this day and everyday? God doesn’t need an army of men to change the world. Rather He needs servants with humble hearts who are willing to do His work. As Christians, we need hearts of persistence, faith, and love that endures through the discouragements and hopelessness that can come with human rights work. It is through relationships and communities that change happens. I met Im Sopheak while I spent my summer abroad in Pnomh Penh doing legal work. He is a Christian who started an organization called the Lazarus Project in 2005 where he goes into a slum every Sunday to teach the children Bible stories. I offered to go with him since I taught Children’s Bible Study at my church. I had no idea of the impact that those two hours would have on me. by Diana Sands, LGTB Program Associate at the Unitarian Universalist UN Office. 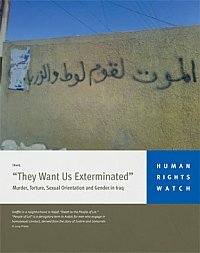 Last week, Human Rights Watch released a much-anticipated report on a truly horrifying campaign of human rights violations in Iraq called “They Want Us Exterminated”: Murder, Torture, Sexual Orientation and Gender in Iraq. This 67-page report documents a wide-reaching campaign of extrajudicial executions, kidnappings, and torture of gay men that began in early 2009. Iraq ratified CEDAW in 1986, but the Iraqi authorities have done nothing to try to stop this murderous campaign or to hold any of its perpetrators accountable. I hope that you all will take the time to read this insightful report and take action on the recommendations. 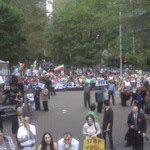 Cross-posted from Human Rights Watch. On October 10, 2003, after years of abuse at the hands of her former partner, a 35-year-old woman in Hungary decided to seek intervention in a way American women can currently only wish for. The woman, identified as A.T., filed a petition with a United Nations body on women’s rights. The body promptly asked her government to prevent further harm while they considered her case. Subsequently, it directed Hungary both to take measures to guarantee her physical and mental health and to ensure protection and justice for all the nation’s victims of domestic violence. The petition, was filed with the UN Committee on the Elimination of Discrimination against Women, known as CEDAW. It diligently analyzed Hungarian law and court proceedings, and concluded that available remedies both in A.T.’s case and in general were too weak, too slow, and too begrudgingly implemented. As people of faith, we have the freedom to use language about human rights and poverty that emphasizes the dignity of the human person, tells the story and the conditions of persons living in poverty, as well as communicates the necessity for collective response. We must approach the future of human rights careful not to forget the achievements of the past, and support new and emerging regional and national human rights initiatives, especially those led by the Global South.